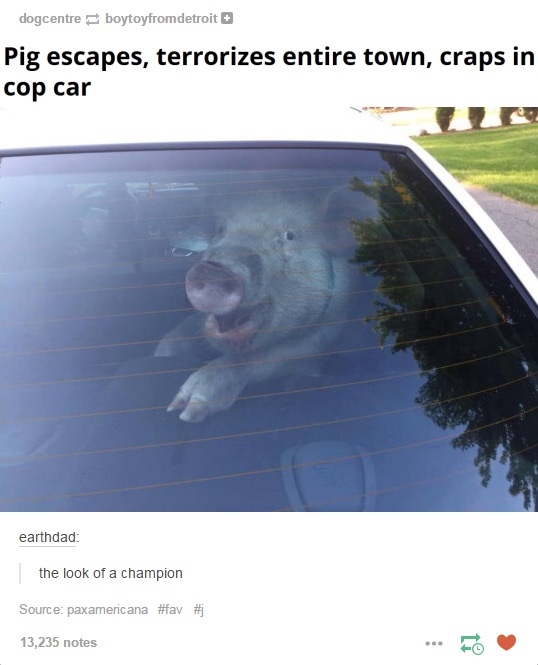 That's why it's really unfair to call cops pigs. Pigs don't go around hitting people for taking bread. A humour forum for odd occasions that help the revolution.